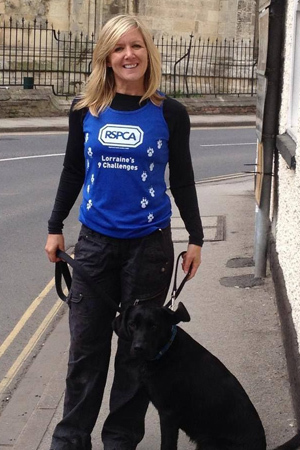 After four years of fundraising for the RSPCA, the Everest Big Expawdition will be Lorraine’s biggest challenge yet. 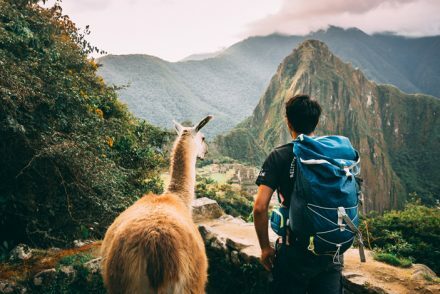 Twelve years ago, when Lorraine Carey was suffering from a second prolapsed disc and had to undergo painful spinal surgery, the idea of trekking to Everest Base Camp would have seemed impossible. The 47-year-old first suffered from a slipped disc 20 years ago and underwent spinal surgery. 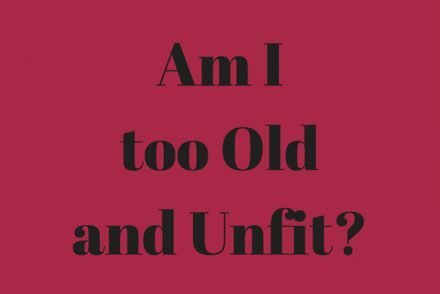 Then, 12 years ago she suffered from a second, severe prolapsed disc which left her bed bound and in agonising pain for six months. When she finally recovered, after two spinal surgeries, she had a renewed zest for life. 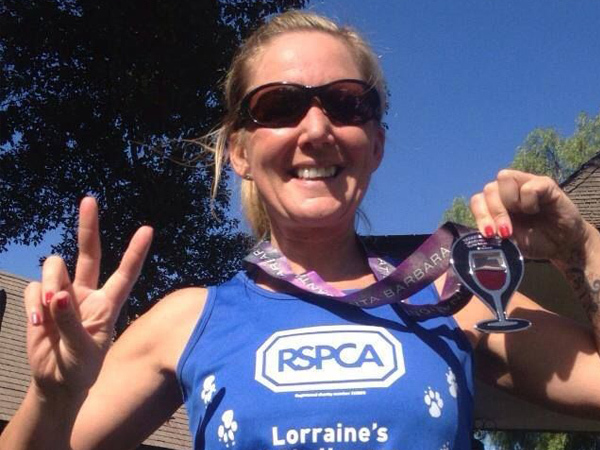 Lorraine decided to spend a year taking on various physical challenges and fundraising for the RSPCA. One year turned into five, and after a series of runs and walks, a skydive, a 5k open water swim, the Yorkshire Three Peaks, the Lake District 10 Peaks, the Welsh 12 Peaks, Tough Mudder, half and full marathons and trekking Mount Kilimanjaro. 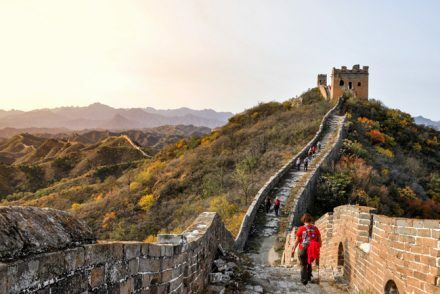 Lorraine has now pledged to take on her final and most challenging trek to date. She will be tackling ‘The Big Expawdition’ alongside RSPCA ambassadors, other supporters and staff in September this year. They will trek for 18-days to dizzying height of 17,600ft to reach Everest Base Camp in Nepal. Lorraine, a personal trainer, animal lover and vegan, said: “It’s always been on my bucket list to do Everest. When I saw that the RSPCA were doing it as a group so I could do it, not just for the charity but with the charity, I knew I had to. 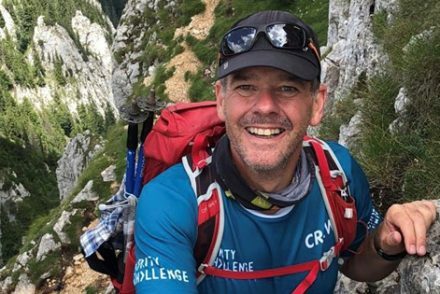 “It was supposed to be just one year of fundraising for the RSPCA, but I’m now in the fifth year, with Everest as the pinnacle of all my challenges. 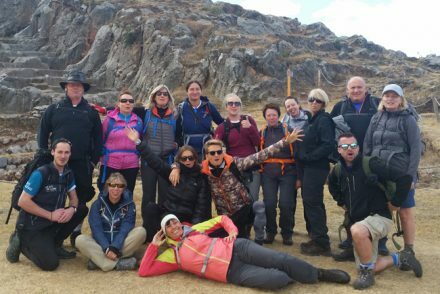 Starting in the Nepalese town of Lukla, Lorraine and the team will trek higher and higher through the Himalayas, through forests, gorges, rivers and icefalls. The high altitude of Everest Base Camp is likely to have a huge effect on the trekkers. Coupled with sub-zero temperatures the challenge, this will be extremely tough. Lorraine has raised more than £15,000 to help the RSPCA continue its work rescuing, rehabilitating and rehoming animals in desperate need of care. Lorraine, who lives in Winteringham in Lincolnshire, explained. “Not only does the RSPCA rescue animals, they also carry out cruelty investigations and work tirelessly to change the laws for animal welfare, for example with animal testing. They are not just reacting to the day to day calls, but they are also proactive behind the scenes. I think the public don’t always see that side of them, but it’s just as important. “I get really emotional when I see images of cruelty crop up in news stories or on social media, and without the RSPCA the situation would be much worse. 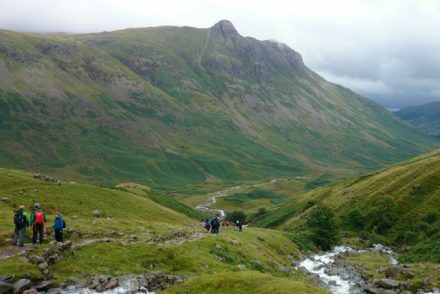 To try and raise as much money as possible for her challenge, she will take groups up Whernside, one of Yorkshire’s Three Peaks. She has also received wonderful donations from Winteringham Fields a Michelin star restaurant, as well as lots of other goodies to auction off for the charity. Lorraine has been a personal trainer for eight years. 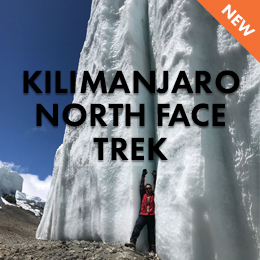 Her experience climbing Mount Kilimanjaro stands her in good stead, but she is still prepared for this to be a huge challenge. “I’m also running London Marathon for the RSPCA this year. It’s just about keeping the fitness up, breaking in my boots and making sure I have all the equipment I need. The only thing I can’t prepare for is the altitude. I know from my Kilimanjaro trip that although it was tough I was okay with it. I didn’t have to stop.” She explained. Lorraine’s advice to anyone thinking of participating on this challenge is that you’ll never regret doing it, but you may regret not doing it. Lorraine has two rescue dogs, Bella, a black labrador, and Rua, a red setter collie cross. Lorraine’s also the proud owner of 12 hens, rescued from a battery farm. In 2014, she also received an RSPCA Honour, the Arthur Broome Bronze award in recognition of her contribution to animal welfare. Find out how you can join Lorraine on the RSPCA Big Expawdition.